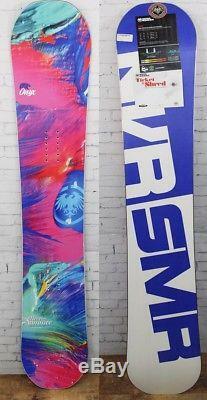 For sale is a brand new 2017 Never Summer Onyx Womens Snowboard in size 146 cm. Features: Matte Topsheet Original Rocker Camber Profile Vario Power Grip Sidecut Low Profile Tip/Tail Bi-Lite Fiberglass Press Flex Wood Coor FDS Damping System Elastomeric underfoot Stablizers Sintered P-Tex sidewall Durasurf Sintered 4501 Base Harmonic Tip and Tail Damper Made in the USA! Waist Width: 23.4 cm. Powered by SixBit's eCommerce Solution. The item "New 2017 Never Summer Onyx Womens Snowboard 146 cm White and Blue Base" is in sale since Thursday, February 15, 2018. This item is in the category "Sporting Goods\Winter Sports\Snowboarding\Snowboards". The seller is "gckcjinvt" and is located in North Clarendon, Vermont. This item can be shipped to United States, Canada, United Kingdom, Denmark, Romania, Slovakia, Bulgaria, Czech republic, Finland, Hungary, Latvia, Lithuania, Malta, Estonia, Australia, Greece, Portugal, Cyprus, Slovenia, Japan, Sweden, South Korea, Indonesia, Taiwan, South africa, Thailand, Belgium, France, Hong Kong, Ireland, Netherlands, Poland, Spain, Italy, Germany, Austria, Israel, Mexico, New Zealand, Philippines, Singapore, Switzerland, Norway, Saudi arabia, Ukraine, United arab emirates, Qatar, Kuwait, Bahrain, Croatia, Malaysia, Brazil, Chile, Colombia, Costa rica, Panama, Trinidad and tobago, Guatemala, Honduras, Jamaica.